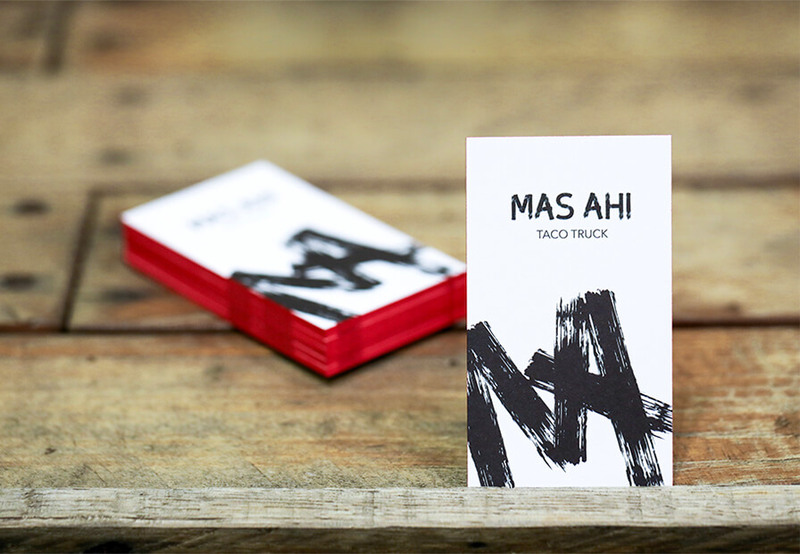 Professionals seeking to showcase their creative and playful personality should look no further. 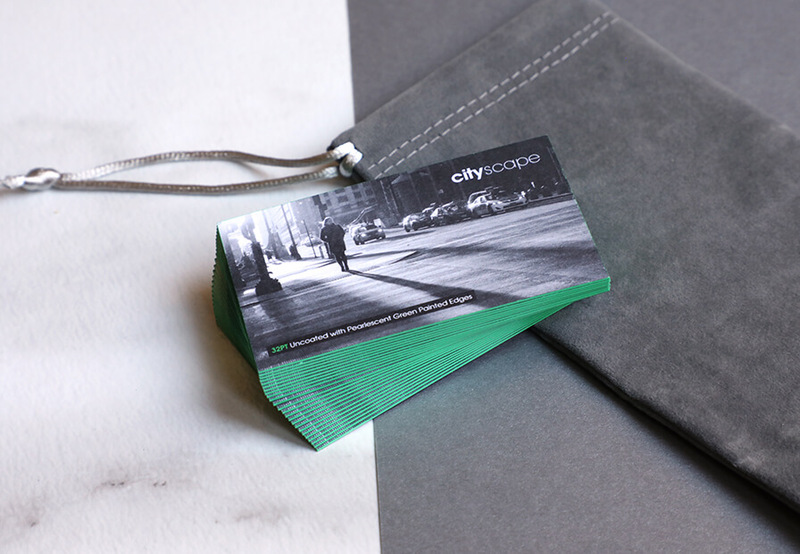 Give your business and brand a customized look, unlike any other card. 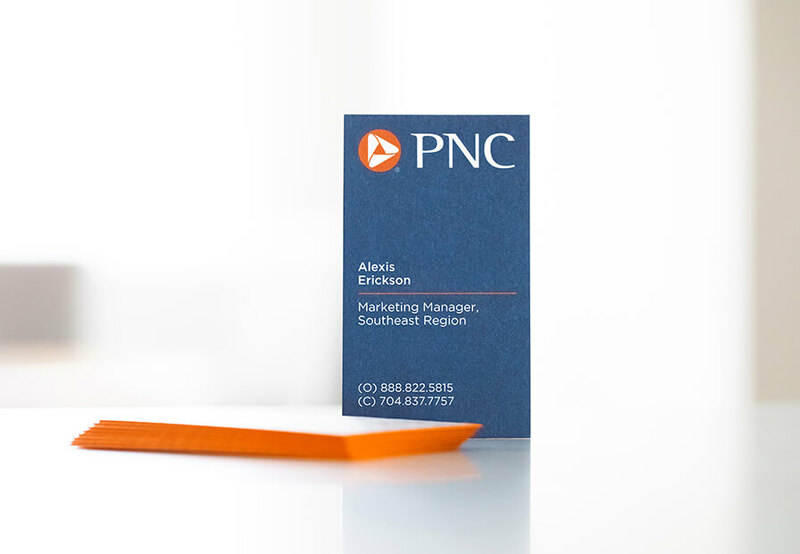 You can create a lasting impression and a wow-effect while turning heads with our premium painted edge business cards. 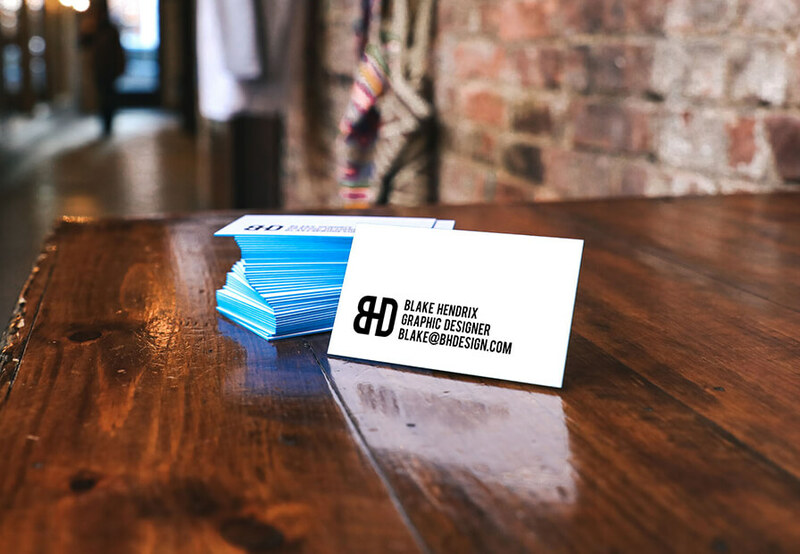 Business cards continue to be a useful marketing tool and are a reflection of you and your business. 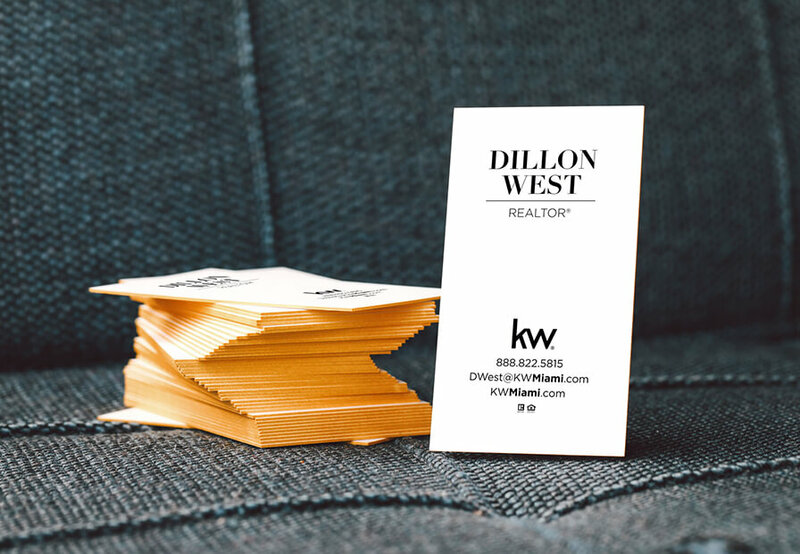 Create an impact and bold statement with thick business cards with colored edges. 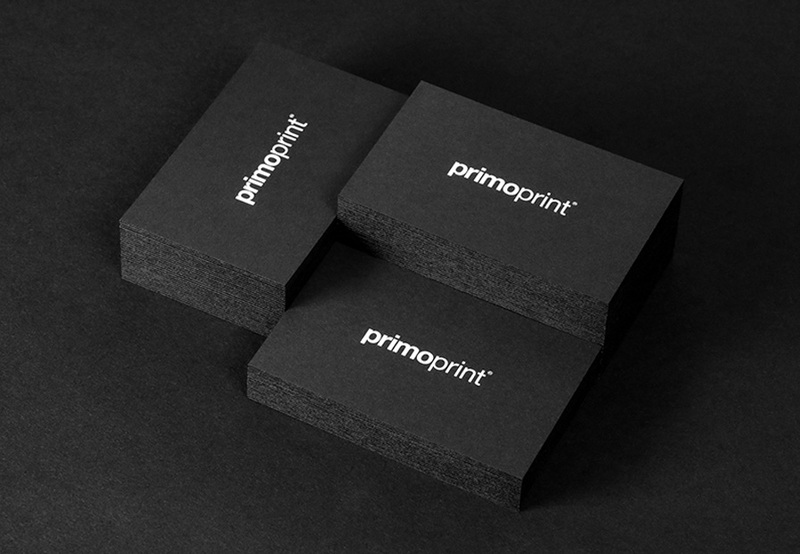 Primoprint’s standard production time is 2-4 business days. 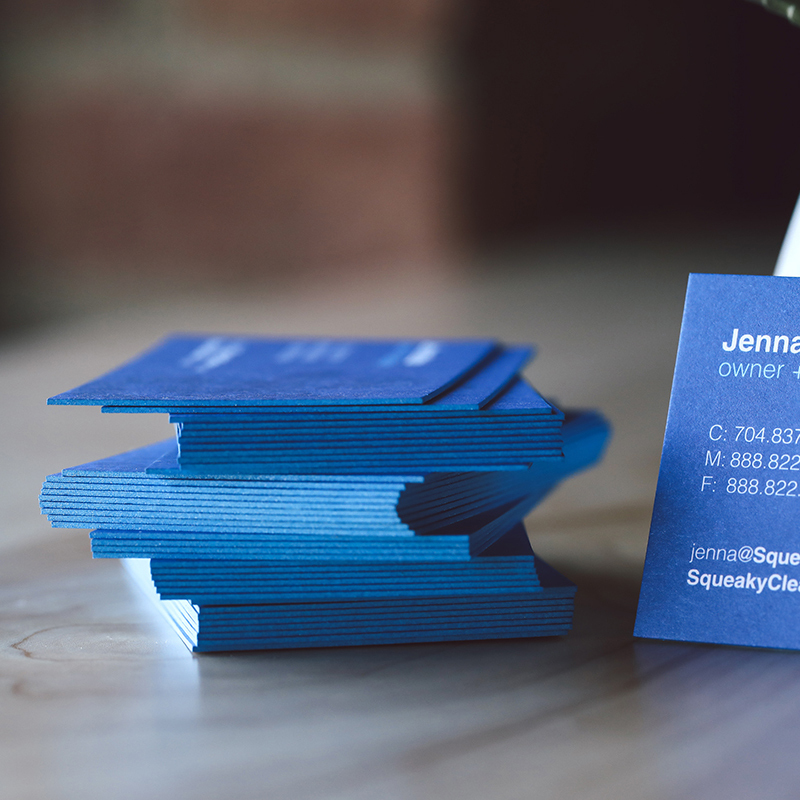 Paper: 32PT Uncoated Card Stock. Pearlescent Edge Colors: Gold, Green, Blue, Pink, Orange, Purple and Yellow. 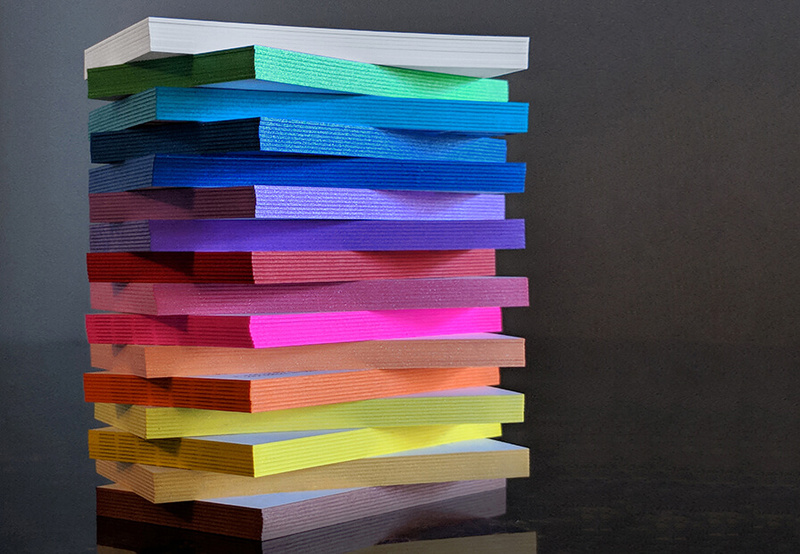 Standard Edge Colors: Black, Red, Yellow, Blue, Brown, Turquoise, Orange, Purple and Pink. 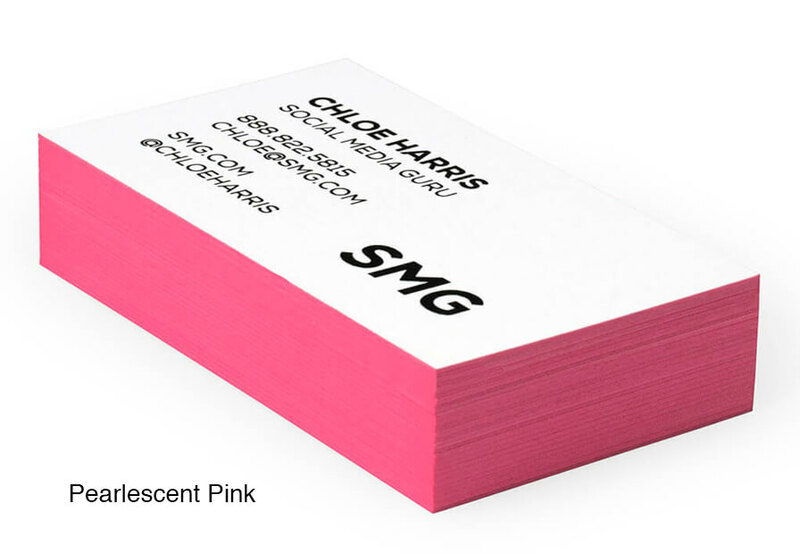 Stamped Foil Colors: Black, Blue, Copper, Gold, Red, Silver, Green, Light Pink, and Dark Pink. 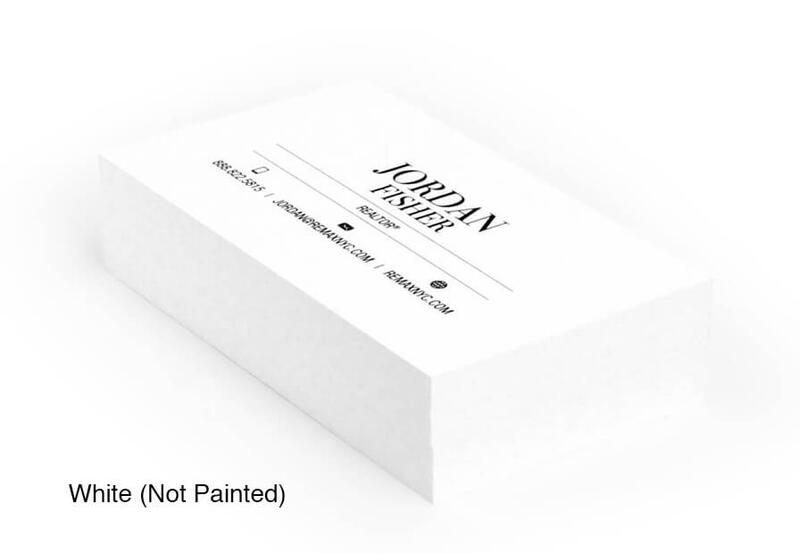 Currently available by Custom Orders. * The paint colors are solid colors. 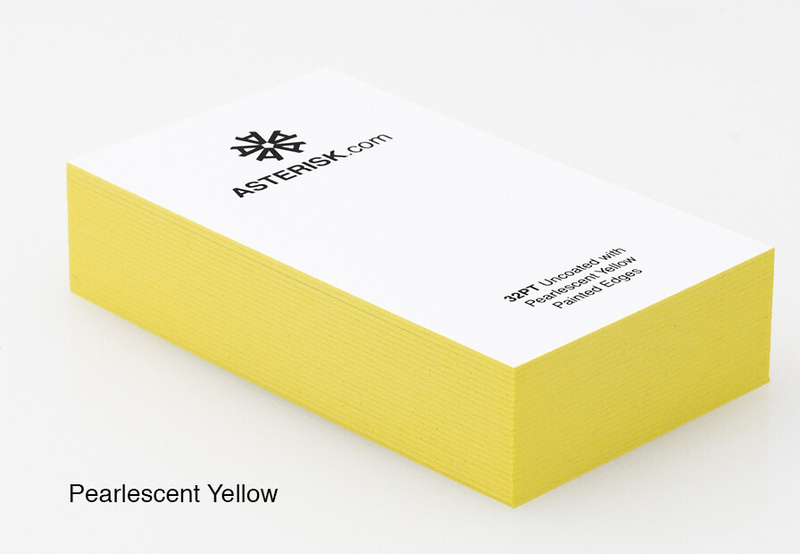 They are not built from mixing Cyan, Magenta, Yellow, and Black (CMYK). 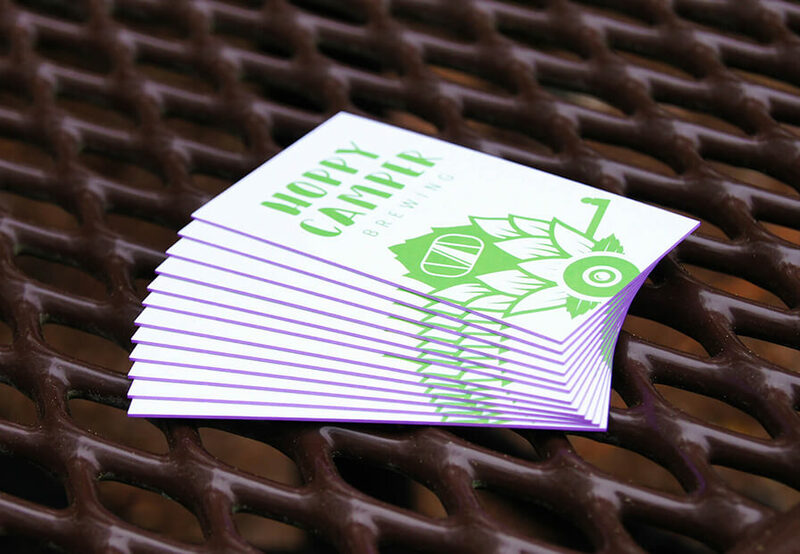 **We do not offer lamination, Spot UV, or foil on this product.